This is one of the handiest organizational tools I use when I am in the process of designing one of my art quilts. want to share how I construct one of the handiest organizational tools I use when I am in the process of designing one of my art quilts. It is actually a portable mini design wall. I have a number of them in different sizes in my studio and one or all are in use almost all the time. The components are simple – flannel, low loft polyester batting and a piece of foam core board. 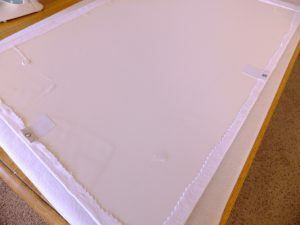 Figure 1: The flannel is placed face down, with the batting in the middle and the foam core on top. Basically, a quilt sandwich. 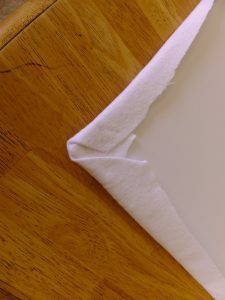 Figure 2: The corner of the flannel and batting are folded over and glued in place. Any kind of glue will work, including a hot glue gun if you have one. 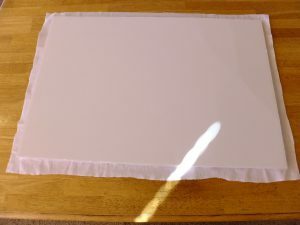 Figure 3: Fold the rest of the fabric over in the corner to form a mitered corner. Do this on all four corners. 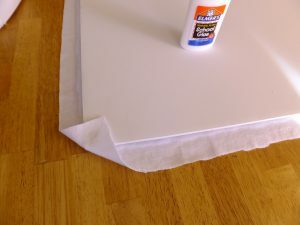 Figure 4: With all four corners secure just run a line of glue around the edge of the foam core to glue down the remainder of the flannel. 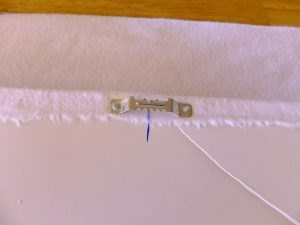 Figure 5: An example of one of the hangers that can be used to hang the design panel on the wall. This type is glued on the back of the panel. Figure 6: An example of the other kind of hanger that I use. I push the small nails that come with this type of hanger into the foam core and then place a drop of strong glue on top of the nail head to make sure it is securely fastened to the back of the foam core. The panels are not heavy, even with pieces of fabric arranged on them so an elaborate or heavy duty hanger is not required. These panels are constructed in exactly the same manner as my large design wall that measures 60”x72”. To construct it, I used a number of the 20”X30” foam core boards that I “duct taped” together and followed the same process described above. I did use a hot glue gun in that instance because I wanted to ensure the flannel and batting were secure on the back of the foam core. 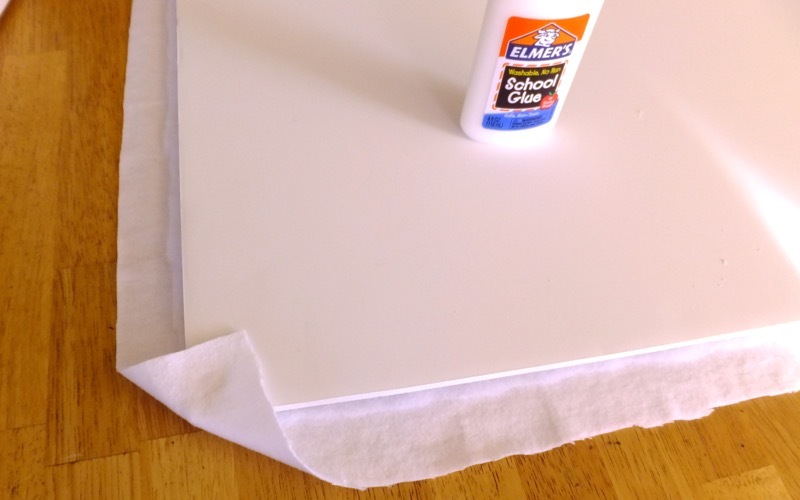 You can also hot glue strips of cardboard over the seams of the foam core if you want a rigid surface. I’ve done it both ways and they both work fine. To mount the design wall on the wall, punch some holes through the fabric and the foam core a couple of inches in from each top corner of the design wall and string some wire through the holes. Make a wire loop on the back and use picture hangers to hang the design wall like a very large picture. The foam core works great for a number of reasons. It is very light weight and easy to work with. And, you can stick a pin into it. I don’t use the expensive glass head pins for that, but the study plastic head pins work wonderfully. I have even used the pins to hang a small design panel on the large design wall! Foam core board is also inexpensive. I buy the 3/8” thick, 20” x 30” boards and they run around $2.50 apiece. 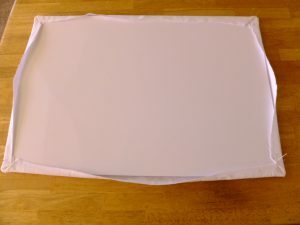 Cut a 20” x 30” board in half and you have a size that is perfect for transporting a block from one location to another for sewing without losing any of the little pieces of the block before you get to the sewing machine. Yay! Try these little panels and see if they don’t make your day in the playroom a little more fun. Thanks for stopping by and remember to give yourself permission to play every day.